Welcome to the Southwest Region of PAECT! April 25, 2019 Propel Homestead, 129 East 10th Avenue, Homestead, PA 15120 3:45 PM-7:00 PM. In this Professional Development seminar, general and special education teachers will gain knowledge, skills, and experiences to be able to utilize educational technology in their classrooms with high levels of mastery. Topics such as video tutorials, iPad Applications, Google Suite, and Promethean will be covered throughout this session. Educators will be equipped with highly-effective digital tools that will not only provide them with multiple methods of differentiation never learned before but also ways to deliver formative/summative assessments, data collection programs, and collaboration strategies to quickly change classrooms into student-centered environments. Panera Bread in the Galleria, Mt. Lebanon. Cranberry Sports Grill, Cranberry Township, PA.
Click here to sign up, please make sure to choose which location you will be attending. We are looking for people who are interested in meeting up elsewhere in the region. Email us at southwest@paect.org if interested. Monday, October 14, 2019 Baldwin High School, Baldwin PA. 4653 Clairton Blvd. Pittsburgh, PA 15236. PAECT is a proud co-sponsor of the Three Rivers Educational Technology Conference, join us for a day of networking and learning. More details will be forthcoming. PAECT members from around the Southwest Region met and discussed PETE 2019 and the upcoming PETE 2020 in Pittsburgh, PA. Try some new tech, share your favorite tech with your colleagues, and have some holiday fun. RSVP to Zee Poerio at zee.poerio@gmail.com by Saturday, Dec. 1st if you plan to attend. Optional: Bring a wrapped REGIFTER for a grab bag. November 6, 2018, Baldwin High School, Baldwin-Whitehall School District. November 6, 2018 from 4-6 PM at Crafthouse Stage and Grill, 5024 Curry Road, Pittsburgh PA 15236. Come join PAECT members for some after conference discussions. On Thursday, August 9th, NWPAECT and SWPAECT are sponsoring a SUMMER meet-up. We have arranged for a 70 minute tour of the amazing INVENTIONLAND in Pittsburgh, and lunch at a near-by restaurant. The cost of the tour will be FREE for PAECT members and guests. Choose for 10 am tour or 1 pm tour with common meet up for LUNCH at 11:30 at THE LOT at EDGEWATER. Lunch is pay on your own. 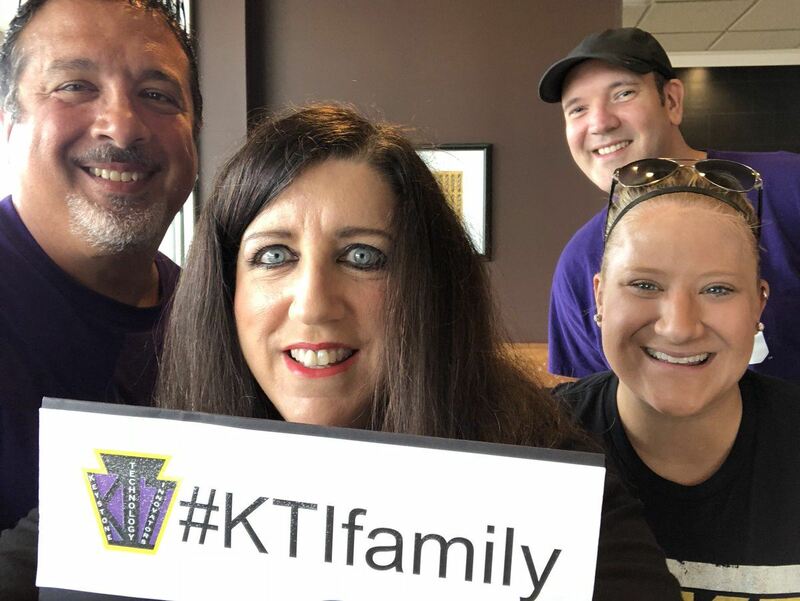 Wednesday, July 25th several members of PAECT met at Panera in Bridgeville for the KTI Tweetup with the new 2018 KTIs. Food and beverages were sponsored by PAECT. edCampPGH, March 24, Hopewell Jr. High. Southwest Mini-Keys will be held at the Harrison Middle School in the Baldwin-Whitehall School District, 129 Windvale Drive, Pittsburgh, PA 15236. This is a FREE EVENT for any PAECT member, there is a $35 cost for non-members. Join us for a day of new ideas, best practices, camaraderie, and PRIZE PATROL. $35 admission fee gets non-members admission to the event, lunch, and a one year's membership in PAECT. West Jefferson Hills School District. at California University of Pennsylvania. opportunity to promote your program to an open audience of families, friends, and community members. Join your local SWPAECT Members. Site TBA, Time 10:00 AM - 11:00 AM. There will be a meet-up planned for Saturday, January 30th at Starbucks in Greensburg, past Westmoreland Mall, across from the Barnes and Noble, 10:30 - 12 Please email rdene915@gmail.com if you can attend. It is a great opportunity to meet up and share ideas and have some coffee from PAECT!! School and Public Library Partnership Summit - The past year’s theme was "Your Kids." The event was attended by school librarians, public librarians, instructional / technology coaches and other educators. It was held on Monday, December 16th at the Allegheny Intermediate Unit. PAECT sponsored lunch for presenters, keynote speaker and the planning committee. edCamp Pittsburgh - edCampPGH is an ongoing opportunity to learn, network, and share best practices in education. This attendee driven event is held twice a year in the Southwest Region. We are in the planning stages for the Spring 2016 event. For more information visit https://sites.google.com/a/msbordner.com/edcamppgh/. Flipped Learning Workshop - Flipped Learning (http://www.flipped-learning.com) along with PAECT (http://paect.org) bring you a full day workshop on Saturday, November 16th at the Allegheny Intermediate Unit. The cost of the workshop is $149.00 PAECT member / $184.00 non-member (which includes a 1 year membership to PAECT). For more information visit http://goo.gl/pCkAS. 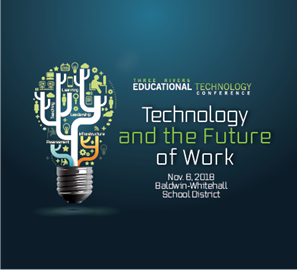 TRETC Conference (annual event): The Three Rivers Educational Technology Conference (TRETC) is the premier K-16 educational technology conference in Western Pennsylvania. More than 300 educators from K-12 schools, higher education and non-profits come to the event. In addition, each year more than 25 vendors showcase their new technologies. 7-30-12: Read the event summary by Zee Ann Poerio. LEARN about some of the newest technology. SHARE your favorite web 2.0 tools. ASK questions. EARN PA ACT 48 credit.